Flying under the media radar in the last couple of weeks was a very important announcement by the Financial Stability Board (FSB). On July 17, the Board released a Consultative Document on the Principles for an Effective Risk Appetite Framework. The press release stated: "The Principles will enhance supervisory oversight of firms, in particular of systemically important financial institutions (SIFIs), by establishing minimum expectations for the key elements contained in an effective risk appetite framework, such as: an actionable risk appetite statement; quantitative risk limits; and clearly defined roles and responsibilities of the board of directors, senior management and business lines." An aim as important as the minimum expectations is "to establish a common nomenclature for terms used in the risk appetite framework, which will help to facilitate a common understanding between supervisors and firms and to narrow any gaps between supervisory expectations and firms’ practices." For readers of The National Bank Examiner who are not bankers, bank directors, or bank supervisors: An effective risk appetite framework is the foundation of good risk management. A bank’s risk appetite represents the aggregate level and types of risk the bank is willing to assume within its risk capacity to achieve its strategic objectives and business plan, and this should be set out in written form in a risk appetite statement. The bank’s risk appetite statement should be linked to the bank’s short- and long-term strategic, capital and financial plans, as well as compensation programs. It should assess the bank’s material risks under both normal and stressed market and macroeconomic conditions, and set clear boundaries and expectations by establishing quantitative limits and qualitative statements for risks that are difficult to measure. To gain a full appreciation for the bank's risk appetite, it's also important that the risk appetite statement be able to be viewed from a minimum of six optical angles: consolidated entity, business line, legal entity, product line, balance sheet concentrations, and by geography. Incidentally, a reminder to foreign banks with presences in the United States. Foreign Banking Organizations (FBOs), with assets in the United States, need to pay particular attention to the issue of geography, as the Board of Governors of the Federal Reserve has a pending regulation that would require the establishment a U.S. Risk Committee for any FBO with global assets exceeding $10 billion, regardless of the size of its U.S. presence. Even community bank-sized FBO presences in the U.S. will need to operate under the umbrella of a U.S.-specific risk management architecture. As many of you know, who have wrestled with the task of creating a risk appetite statement for on-strategy and off-strategy risk management at the board of directors level, the lack of an industry standard or common practice guidelines make the effort both frustrating and time-consuming. For each bank, the risk appetite statement wheel gets invented over and over again, amply profiting the bank consultants brought in to facilitate the process with their own in-house incarnations of how a risk appetite document ought to be prepared. A global industry standard established by a common set of expectations and a shared risk management language, would really advance the ball in this necessarily fundamental, and perhaps, the trickiest part of a bank's risk management architecture. While these principles are designed to apply primarily to SIFIs, the concepts behind them are universally applicable, the difference being that of scale and complexity. If you are interested in following one of the premier thinkers in the area of banking risk management, let me also refer you to the writings of Dennis Chesley, Global Leader of Risk Consulting at PwC and the PwC Resilience website. I don't hawk the wares of banking consultants, that's caveat emptor for the buyer, but I do occasionally want the readers of The National Bank Examiner to consider bookmarking their browsers to the published products of the current "thought leaders" in our industry. Their morsels of shared wisdom are free, and the enlightenment that may come to you from connecting-the-dots, or a pop-up insight, or even an "aha! moment", can be very valuable. I had the personal privilege of working with Dennis as a fellow member of the team that stood up, and made operational, the U.S. Government's Troubled Asset Relief Program (TARP) in the dark days of early October of 2008. As an important member of what forever will be a unique "band of brothers and sisters", Dennis and his team helped the government officials involved design the internal controls and risk management architecture surrounding what is, thus far, the largest and fastest delivery of U.S. Government financial assistance to Corporate America in the history of the United States. 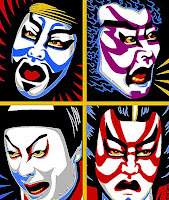 Well, this week in banking news ought to go down in the annals of U.S. banking history as Kabuki week... a highly-stylized drama with elaborate make-up worn by its performers. First, Senator Elizabeth Warren (D-Massachusetts) came out and proclaimed herself a stalwart champion of community banks in an article, appropriately titled, Elizabeth Warren, Champion of Small Banks. Yes, this is the same Elizabeth Warren who's ideas spawned the Consumer Financial Protection Bureau (CFPB). The federal agency that is the source of much of today's (and tomorrow's) new regulatory burden for the community banks she so loves and cherishes. Consumer protection is an important public policy priority, but in the hands of an unaccountable agency with a single head and boundless financial resources, it can become the nanny of all nannies when it comes to layering on burden and compliance obligations for community banks. The second piece of Kabuki theater came from the Financial Services Roundtable and the American Bankers Association. Both are squawking about the new interagency leverage ratio proposal for the eight largest U.S. banks. They claim that the new leverage requirements would put U.S. banks at a significant competitive disadvantage and threaten our economic expansion by adversely affecting the level and cost of credit. To the first issue, competitive disadvantage, I invoke the concept of American Exceptionalism. Americans are leaders, not followers. When the policy leadership is about a stronger, more resilient global banking system, through the mechanism of a stronger U.S. banking system, that's a good thing. Americans have never thought that keeping company with the lowest-common denominators was a virtuous American value. Plus fortress-like balance sheets, in our present risk-on/risk-off anxiety-ridden funding markets, ought to be a competitive advantage, not a disadvantage. Regarding the level and cost of credit issues, let's start with the level of credit. Don't underestimate the new lending opportunities that will now accrue to the regional banks and the other 7,500 banks in the United States because leverage requirements are being raised on eight U.S. mega-banks. In the old days of double and triple the number of commercial banks that we have now, the United States had a highly developed bank correspondent network for syndicating and participating loans so that the largest corporate customers could be adequately served. Securitization has changed the nature of that business in a big way over time, but the bones of the old system are still there. As to the cost of credit, the large bank trade groups are probably exactly right. With the eight largest banks accounting for more than half of the market share in the United States, credit spreads (above the cost of funds) are likely to rise nationwide. Most economists specializing in market structure and competition would agree that a small group of market participants with a majority share of any given market are, in their parlance, "price leaders" and not "price-takers". The structural credit spreads above the cost of dollar funding will likely increase to compensate for higher common equity capital requirements. The Wall Street Journal "prime" base rate, at 3.25% today, is about 3% above the target federal funds rate of .25%. Any increase might be constrained to some degree, however, by the banks in the next tier of the marketplace, the large regional banks (though some will be free-riders), and potentially lower funding costs owing to stronger mega-bank balance sheets. Those higher credit costs will be paid by you and me, either directly through the consumer or mortgage loan process, or in the form of higher product prices generally as the higher costs of corporate credit works its way into the national economy. Maybe also in bank fees, but, in my opinion, the jury is out. Our glorious news media seems to have over-sensitized retail bank customers to bank fees (overdraft fees, for example) in the same manner that they have over-sensitized consumers to changes in gasoline prices. A 5 cent increase in the cost of gasoline amounts to only $1 for the driver of a car with a 20-gallon fuel tank, but people will patronize the gas station across town if the price for a gallon of gasoline is a couple of cents cheaper over there. Go figure. The same may be presently true for retail banking services. Higher credit costs are a difficult, but necessary public policy choice. Would you pay a little extra for the things around you in exchange for a safer and sounder banking system? Those who saw the values of their homes drop like boulders in the Great Recession... who also saw the value of their retirement savings evaporate or be subject to miniscule rates of return.... and who may have also lost their jobs in the process, would probably say yes. Higher nationwide credit spreads could also be a very nice back-door market subsidy to community banks that have been valiantly battling net interest margin compression for the last few years. A banking market-wide structural increase in credit spreads could spell a bit of sorely needed relief. Was it capital punishment at today's meeting of the Board of Directors of the Federal Deposit Insurance Corporation (FDIC)? Nope, not capital punishment, just a recipe for a better night's sleep and, with the supplemental leverage ratio proposal, the foundation for a safer, sounder, and more prosperous banking system in the United States. I was watching the live webcast of today's meeting of the FDIC Board of Directors with intense interest. Because yesterday, CNBC reported that the FDIC would propose a 5% common equity to assets leverage ratio for the largest and most interconnected U.S. banks - the global systemically important U.S. financial institutions. The pure joy of such a potential development was driven to exhilarating heights as it comes on the heels of a troubling Basel III report just released by the Bank for International Settlements - the Vatican for Basel III worshipers. The Basel Committee on Banking Supervision just released a study, Regulatory Consistency Assessment Programme (RCAP): Analysis of risk-weighted assets for credit risk in the banking book. The study looks at risk weighting done by the world's largest banks, using their own models, with regard to the internal ratings-based approach (IRB) to credit risk - an "advanced" Basel III approach. The report confirms that risk weights for credit risk in the banking book vary significantly across banks. In fact, during a hypothetical portfolio bench-marking exercise: "...risk weight variation could cause the reported capital ratios for some outlier banks to vary by as much as 2 percentage points from the benchmark (or 20% in relative terms) in either direction." That, folks, is what passes as an advanced scientific approach to bank capital regulation! The FDIC board meeting was a refreshing, but not a totally satisfying, event. The Board took two substantive votes. First, the Board voted on an interim final rule for domestic bank capital regulation that was substantially similar to that approved by the Board of Governors of the Federal Reserve System last week. The vote was 4-1 with Director Hoenig dissenting primarily on the issue that a domestic capital rule should not be promulgated with, what almost everyone seemed to agree, was an inadequate supplementary leverage ratio. The other vote was on an interagency Notice of Proposed Rulemaking (NPR) on a higher supplementary leverage ratio for the largest U.S. bank holding companies (BHCs). The vote? Unanimous for the NPR. Under the proposed rule, top-tier bank holding companies with more than $700 billion in consolidated total assets or $10 trillion in assets under custody (covered BHCs) would be required to maintain a tier 1 capital leverage buffer of at least 2 percent above the minimum supplementary leverage ratio requirement of 3 percent, for a total of 5 percent. The leverage buffer would function like the capital conservation buffer in the previously-approved domestic capital rule. Failure to exceed the 5 percent ratio would subject covered BHCs to restrictions on discretionary bonus payments and capital distributions. In addition to the leverage buffer for covered BHCs, the proposed rule would require insured depository institutions of covered BHCs to meet a 6 percent supplementary leverage ratio to be considered "well capitalized" for prompt corrective action purposes. The supplementary leverage ratio includes many off-balance sheet items and, like all capital minimums, banks are expected to maintain a cushion comfortably above these capital floors. The proposed rule would currently apply to the eight largest, most systemically significant U.S. banking organizations - JPMorgan Chase & Co., Citigroup Inc., Wells Fargo & Co., Goldman Sachs Group Inc., Bank of America Corp., Morgan Stanley, State Street Corp., and Bank of New York Mellon Corp.
Plaudits to federal bank regulators today! While the proposed supplementary leverage ratios may not be as high as some might prefer, federal bank regulators, looking out for the best interests of the U.S. economy, deserve positive recognition for well-executed public service. They fought the pressure to lower leverage ratio minimums to levels that, internationally, would allow certain large European and Asian banks to appear properly capitalized, while also simultaneously strengthening the U.S. banking system. As far as the FDIC board meeting not being totally satisfying, unfortunately we are prisoners of an old high school debate tactic...(s)he who frames the issue, controls the argument (or in the realm of regulation-writing... (s)he who holds the pen, controls the draft). The basic leverage ratio has been "tagged", by the risk-based capital regulation proponents, as a supplemental, and therefore secondary, capital measure since the inception of the risk-based capital regulation movement decades ago. The basic leverage ratio has always been framed by the Basel Committee as the poor second cousin of the risk-based approach to capital regulation. You know, something for the old-fashioned folk who prefer a mug of simple leverage beer to either a chilled glass of risk-based standardized approach Chardonnay wine or a nose-tingling flute of Advanced IRB Champagne. In a do-over, I would prefer a doppelgänger world where the overly complex and easily gamed risk-based capital approach is itself supplemental to the basic leverage ratio. The risk-based capital approach being a useful, though imperfect... additional, but not driving... capital surveillance tool. My biggest concern is not about risk-based capital regulation's over-complexity, leviathan-sized regulation books, nor the natural propensity for larger banks to game or circumvent the system. My biggest concern is that risk-based capital regulation has a subterranean steering current that is the covert precursor to a potential world of capital-incentivized bank credit allocation by the Federal government. Note how the risk-based capital rules follow the political winds when it comes to OECD sovereign debt, public sector enterprises (like the busted Fannie Mae and Freddie Mac), and real estate lending. In the hands of some future government officials, who may be less sympathetic to the benefits of market capitalism, risk-based capital regulation becomes the slippery slope toward potential bank credit allocation by government incentive, rather than mandate. Basic leverage ratios, on the other hand, are economic libertarians. It's not cause to build a bomb shelter or hoard six months worth of food, but it is important to think about the impacts and implications of the regulatory momentum and inertia we have built up on the path we are presently following. How will our present actions impact the future structure, operation, and risk profile of the U.S. banking system?